The island of Lanai, located almost in the middle of the Hawaiian Islands, is a tourist treat just waiting to be explored by anyone who wants to experience Hawaii in a unique way. While some of the bigger islands of Hawaii are packed with grand tourist attractions, resplendent hotels, and loads of vacationers, the island of Lanai presents a more laid-back and intimate atmosphere. In a place with no stop lights and hardly any paved roads, it's easy to see why Lanai can be the perfect vacation destination. Whether you are planning a trip with a loved one or a bunch of friends, you should definitely consider visiting the island of Lanai. This article will give you some basic information about Lanai and what makes this island such a unique destination. As mentioned above, one of the unique things about Lanai is that there aren't too many people crowding this small island. As one of the smallest inhabited islands, Lanai has a population of just over 3,000 people, plus the number of tourists who visit the island year-round. Out of Hawaii's eight main islands, Lanai is the sixth largest at a little over 140 square miles, which is even smaller than cities like Los Angeles and New York. At its widest point, Lanai island is only 18 miles across, which means that you can practically explore the entire island, even if you only have a short vacation there. The island has about 47 miles of shoreline for you to explore and experience to the fullest. Breathtaking vistas, beautiful beaches, as well as its intriguing history and culture make up for what Lanai lacks in size. Aside from the size of the island, another unique feature of Lanai's geography is its dramatic topography. From the island's white sand beaches, the land elevates as you go further inland. The highest point on Lanai island is Lana'ihale, which is a rain forest that reaches an elevation of over 3,300 feet. If you are adventurous enough to take a trip up this volcanic mountain, you can get great views of Lanai, as well as other Hawaiian islands. The geography and topography of Lanai is a large part of what makes this island such a wonderful place to visit, from clear blue oceans and pure white beaches to lush green forests and lunar-like rock formations. With such a diverse geography, you might expect that Lanai has an equally diverse climate. The truth is, the climate in Lanai is relatively cool. Island temperatures range from a little over 60 to 70 degrees Fahrenheit, with the hottest areas down by the beach and the coolest at the peak of Lana'ihale. You may want to bring a jacket or sweater to keep you warm if you decide to go up the mountain. If you are staying in Lanai City, which is at about 1700 feet, the temperature averages a little over 70 degrees Fahrenheit during the warmest months. While some of the islands of Hawaii get covered in loads of rainfall, the climate of Lanai is relatively dry, with an annual rainfall average of under 40 inches. One of the most unique things about the island of Lanai is that it's one of the few main islands where you can still get some privacy and peace. Although many of the other islands do have some quiet areas that you can retreat to, the entire island of Lanai can be seen as a quiet retreat where you don't need a "do not disturb" sign to get some privacy. Other inhabited Hawaiian islands, such as the Big Island, Maui, and Oahu, are packed not only with tourists but also with locals. Lanai is largely uninhabited and those who do live on Lanai are mainly concentrated in Lanai City. What this means is that you won't have to go a long way just to get some peace and quiet. Because Lanai is still largely uninhabited and not fully developed, it is often called "The Secluded Isle," a place where you can get away from the daily hassles of traffic jams, congested cities, and noise pollution. Most of the time, the only things you'll be hearing on the island are the occasional bird songs, the blowing wind, and the soft waves. For this reason, Lanai is often advertised as a great place to go for honeymoons or romantic getaways. One of the reasons Lanai is such a peaceful and private destination is because there are only a few places to stay on the island. 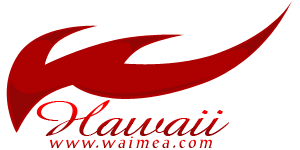 Most of the other main islands of Hawaii are packed full of resorts, hotels, lodges, and other accommodation options. The most popular hotels on the island are the two luxurious resorts: Lodge at Koele and the Four Seasons Resort Lanai. The Lodge at Koele is located in Lanai City, which most people refer to as "the village." Meanwhile, the Four Seasons Resort Lanai is further south, at Manele Bay. Aside from these award-winning resorts, there are also a number of bed and breakfast accommodations around the island, or you can just camp out along the beaches or in the park. Another unique aspect of the island of Lanai is its unique history. Lanai was inhabited around 1,000 years after some of the other islands of Hawaii. The reason it took so long for the place to be inhabited is not only because it is a small, isolated island, but also because the Hawaiian legends believed that man-eating evil spirits occupied the island. The ancient Hawaiians only inhabited the islands after the son of a Maui chief was banished to the island. When the chief saw that his son's fire burned bright along the shores of Lanai, he had his son picked up and returned to Maui island. For his son's bravery, the Maui chief rewarded him with control over Lanai. The chief and his son encouraged immigrants to the island and, as the island was inhabited by more people, the ancient Hawaiians left their mark on the island, leaving behind petroglyphs, religious temples, and other historical landmarks. In the late 1700s, Kamehameha I came to Lanai and practically killed everyone on the island in a war for control of Lanai. King Kamehameha I did not spare the island much mercy, going as far as burning practically all of the remains on the island after killing its inhabitants. Kamehameha I had a vision to unite all of the islands of Hawaii to create the Kingdom of Hawaii, and he succeeded. Although he wiped out the island, King Kamehameha I returned to the island numerous times, because he had a favorite fishing retreat there called Kaunolu, which you can still visit today. Another unique aspect of Lanai's history is that the island was bought by James Dole in the 1920s. Dole and his company turned Lanai into one of the largest pineapple plantations in the entire world. Much of the island was converted into a pineapple plantation, which produced much of the world's pineapple supply. You can still visit the site of this massive pineapple plantation, although not much of it remains, with less than 100 acres of pineapples used for local consumption. As the pineapple and agriculture industry as a whole began to decline, the James Dole's company was reformed into Castle & Cooke, which was bought and owned by David H. Murdock in 1985. Castle & Cooke is largely responsible for shifting the development and economy of Lanai to tourism. Today, you can visit many of the historical sites in Lanai by 4-wheel drive vehicle or hiking. Munro Trail - This popular trail is just minutes north of Lanai City and stretches for about seven miles--climbing Lana'ihale mountain and snaking around Lanai City, before heading south toward Manele Bay. Here you can get beautiful views of the city, Maunalei gulch, and the neighboring islands. You can explore this trail by 4x4 or by hiking. The Garden of the Gods - Keahiakawelo is one of the most unique places in the Hawaiian Islands. This site is home to rock formations that can only be described as lunar-like. Because of the odd yet beautiful rock formations at Keahiakawelo, it is often referred to as the Garden of the Gods. Be sure not to miss out on this interesting natural wonder. Hulopoe Bay - Ranked as one of the best beaches in the United States, Hulopoe Bay is a place where you can go to snorkel, have a picnic, relax on the beach, body board, swim, and see the Spinner dolphins. You may want to avoid this place during winter, though, because the water conditions can get a little rough.